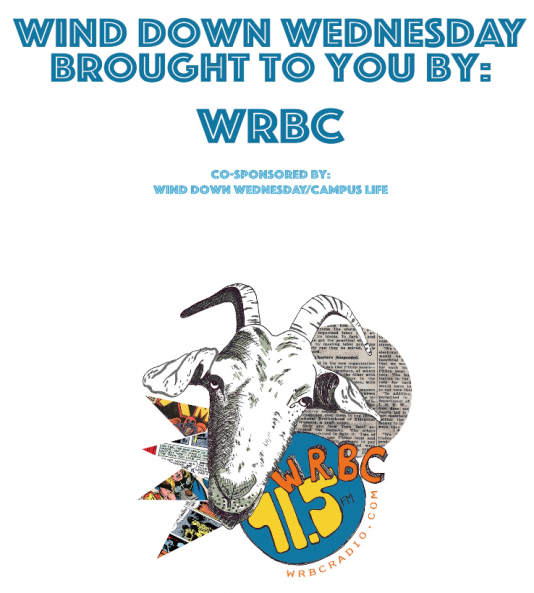 It’s time for WRBC’s Wind Down Wednesday: an evening of drinks, snacks, and great music! Featuring live music from Bates’ own The Remedy and The Buttflaps. Grab your friends and come by the Little Room in Chase Hall for dancing and fun. Everyone is welcome, but if you’re 21+ and plan to drink, don’t forget your ID! Brought to you by WRBC and Wind Down Wednesday/Campus Life.